People have been calling for the resignation of former foreign secretary Boris Johnson after he was accused of ‘vilifying Muslim women’ this week. Johnson voiced his thoughts on the dress of Muslim women in a recent column for the Daily Telegraph, stating ‘It is absolutely ridiculous that people should choose to go around looking like letter boxes’. Yes. The ex foreign secretary said women who walk around in burkas look like ‘bank robbers’ and ‘letter boxes’ – and unsurprisingly no one is very happy about it. 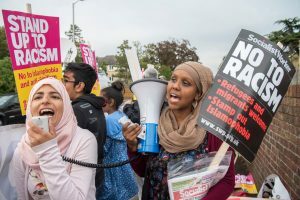 It was announced that the Tory party were investigating the complaints against Johnson, but that wasn’t enough for the public, with his office hit by a rally against his controversial comments, organised by Muslim Engagement & Development. Today, 100 British Muslim women have come forward today against Johnson by sending an open letter to the chair of the Conservative party. We, the undersigned, write to you as British Muslim women who wear the niqab or burqa. We speak as free women who are able to speak for ourselves and make our own choices. Our decision to wear the niqab or burqa is not an easy one, especially given the hate that many of us experience on a regular basis. Nevertheless we do so because we believe it is a means to get closer to God. We recognise that this is not the practice of the majority of Muslim women and that it is a very small number who make this choice in the UK. All personal choices should be respected. Contrary to what you may have been told by sections of the media and columnists who profess to know what is best for us, we are not forced to make these clothing choices, nor are we oppressed. As women who wear the niqab or burqa, we have not forfeited our right to be treated fairly and as equal citizens in this country. Yet we have representatives of our governing party who think otherwise and who use Muslim women in order to pander to far-right Islamophobes within the party, as Boris Johnson has done. We understand that you have requested Mr Johnson to apologise. As chairman of a party that seeks to represent the whole country, which protects individual liberty as a cherished British value, your call – we believe – is insufficient. Given a deliberate choice was made to inflame tensions in a way that makes it easier for bigots to justify hate crime against us, we concur with Conservative peer, Lord Sheikh, who has demanded the whip be withdrawn from Mr Johnson. 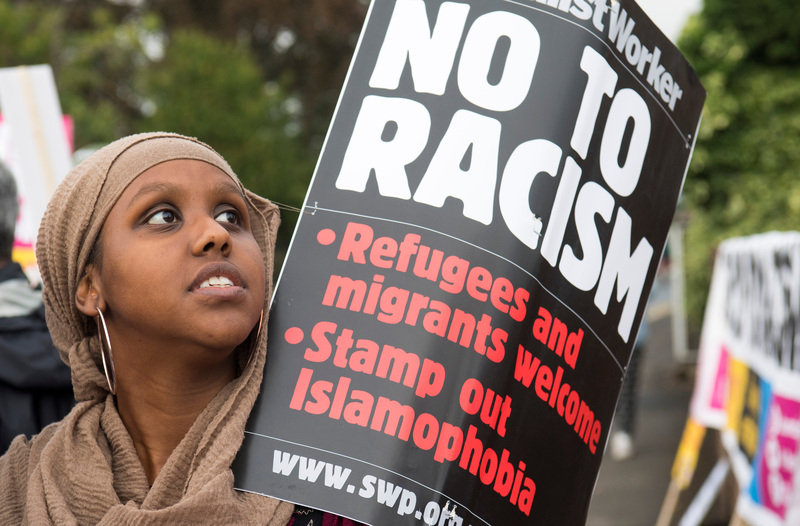 Furthermore, given the responses from other MPs, specifically Ms Dorries, and the broader concerns that have been raised by the Muslim Council of Britain amongst others, we believe that there must now be an independent inquiry into Islamophobia in the Party to tackle this issue once and for all. Our rights as equal citizens may be debated within wider society, but such vile language which has real consequences for us, should never be acceptable. We are happy to speak to Members of Parliament to share our experiences and perhaps demystify some of the concerns they may have. The post 100 Muslim women who wear niqabs and burkas demand Boris Johnson’s exit appeared first on Marie Claire.